Here is a great way to expand your blues playing in every key! Here is a great way to expand your blues playing in every key! Slow tempos for all levels of ability. Try playing some of the tougher keys without looking at the music and see just how fast your ear takes over. You'll find yourself gaining confidence very quickly and that will greatly improve your soloing. 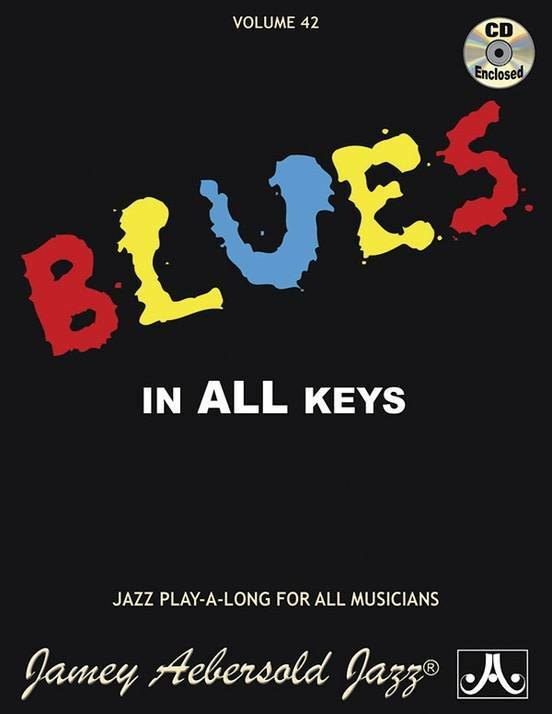 Charlie Parker learned the blues in all 12 keys before he learned anything else. Transposed for all instruments. Each key contains a different blues melody and two compatible chord/scale progressions. Rhythm Section: James Williams (p); Bob Cranshaw (b); Mickey Roker (d).